Our Saffron Walden showroom is located inside the Ridgeons branch. 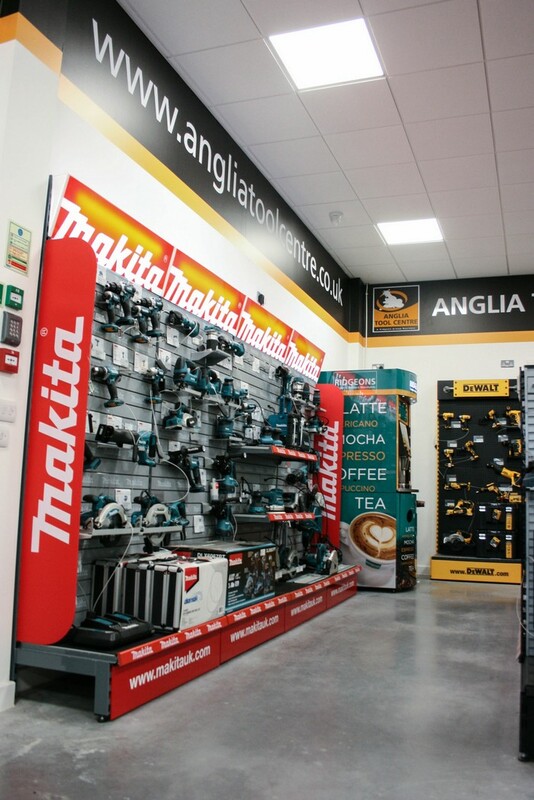 Anglia Tool Centre Saffron Walden showroom provides customers with a great range of products from leading power tool brands, expert advice and low online prices available in store. Choose from a wide range of products from Makita, Dewalt, Festool, Trend and many more leading power and hand tool brands. A popular feature of our showrooms is the demonstration area, which gives customers the opportunity to try power tools before buying.